It's spring, meaning that summer festival announcements are starting to come in quick succession. 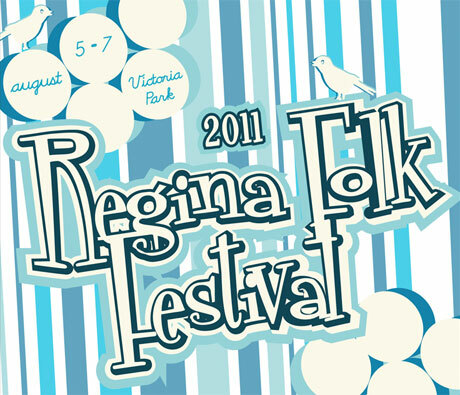 The latest to unveil its lineup is the Regina Folk Festival, which will be running from August 5 to 7 at Victoria Park in Regina, SK. The festival will include big-name performers like k.d. lang, Andrew Bird, Dan Mangan and Hawksley Workman. This is the 42nd instalment of the long-running event. Also on board for this year are Braids, Coeur De Pirate, Hey Ocean!, Fred Penner, Taj Mahal, Shotgun Jimmie, the Sojourners, Michael Bernard Fitzgerald and KT Tunstall. See the full list over at the festival's website, which will announce the schedule in the coming months. In addition to music, the event boasts a children's area, food court and artists' market. You can buy tickets for the event here. Early bird passes will cost $89 for adults and $79 for seniors and students. However, the early bird passes are limited. Admission is free for kids 12 and under. Single-day tickets will go on sale in May. See a trailer video for the festival below.